Femboy. Julien always acts like a femboy ( a guy who acts like a girl, but thats dont mean he is gay au bisexual because there are also very masculine homosexuals) i made this for make wewe laugh :D. HD Wallpaper and background images in the Penguins of Madagascar club tagged: king julien maurice mort lemurs madagascar 3 femboy. 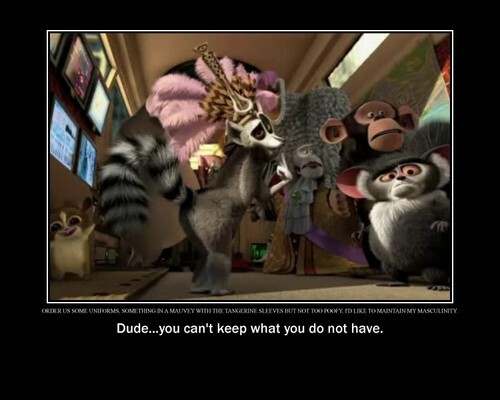 This Penguins of Madagascar photo contains madagascar paka, pete tailed lemur, lemur catta, and paka ya madagaska. There might also be lemur. ALERT! Marlene and Skipper are holding hands! Just smile and wave boys. Just smile and wave boys, smile and wave..
(Potential Movie Spoiler) Catch that? "... I'll take that action!" Woah! What happened to Dode????!!! Help! I'm a penguin, auk falling! Napping on the job Marlene? LOL! I'm so buying this movie! This is so damn true. Julien has always been more feminine than Gloria in the movies, and now that he is in the series, he is so much feminine than Marlene sometimes. So apparently theres a PoM mod for GTA: San Andreas..
What wewe Talkin Bout, Skipp?! What is Alice doing there?! Cartoons imba the nick song!